Another day of RFYS concludes! 8 teams across 4 categories battled hard in Jamshedpur to claim their place in final. Tune in to the website tomorrow for the live broadcast of finals. Elsewhere, in Ahmedabad, 8 teams played out their quarter finals in the Junior Boys category as the tournament comes to its closing stage. To find out who advanced, visit Football Results. Behala College won Kolkata’s College Boys league game with a 1-0 win over Narasinha Dutt College, thanks to Dipankar Mondal’s 27th minute strike. 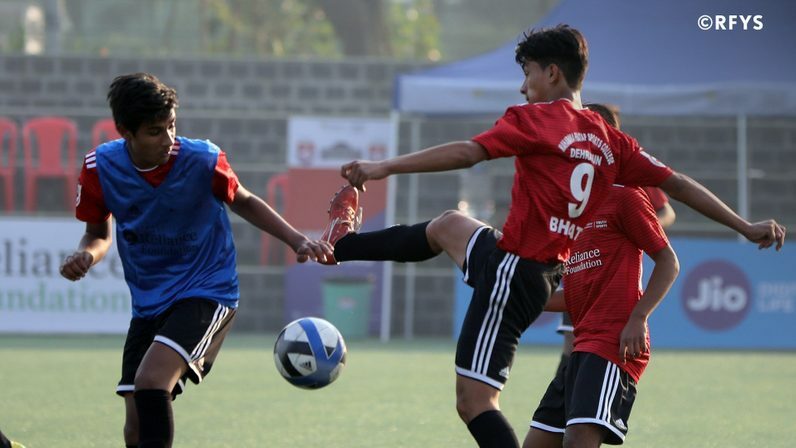 Ahmedabad’s Don Bosco High School booked their place in the semi final following a convincing 2-0 victory over Vrajbhoomi International School in the Junior Boys category. Kasidih High School To Advance To The Finals In The Junior Boys Category. 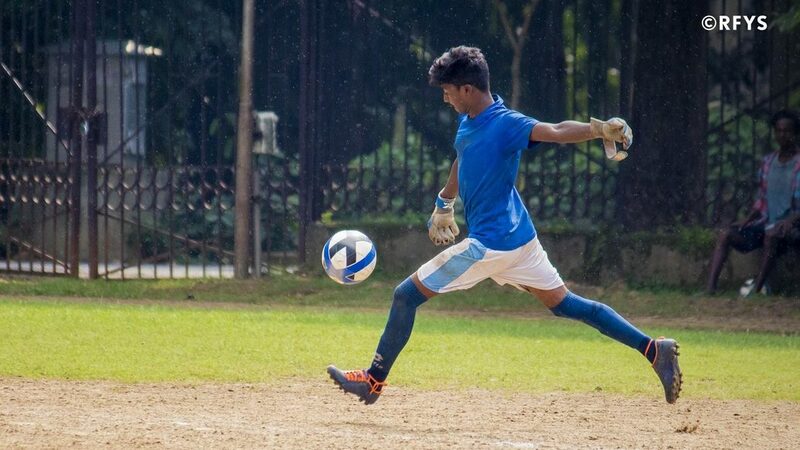 The Bhawanipur Education Society College outclassed Presidency University with a thumping 6-0 win in Kolkata’s College Boys game. In Guwahati’s Junior Boys league game, Mirzapur Middle English School showed immense character to come back from a goal behind to secure a 3-2 win over Delhi Public School, Ahomgaon, Guwahati. To stay updated on the matches in all the 4 cities, visit Football Results. 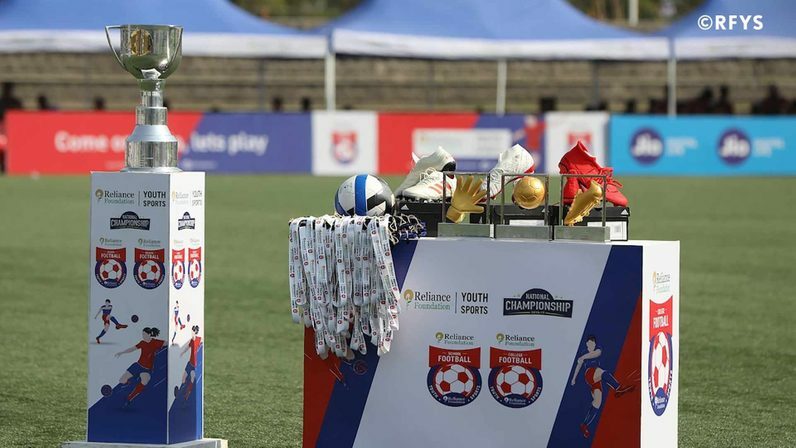 Guwahati’s Bethany Convent School won the School Girls league clash in a 9-0 rout of Sundar Bari High School. Nerim Group Institutions had 4 different goal scorers in their 4-0 win over Nef Law College In Guwahati’s College Boys Fixture. Ahmedabad’s Junior boys quarter finals game saw Laxman Gyanpith Sanskardham beat Hiramani School by the finest of margins in a thrilling contest, courtesy of a 7-6 win in the penalty shootout. In Guwahati’s College Boys game, University Of Science & Technology Meghalaya and Sarat Bhagabati Sunrise Academy played out a high scoring 3-3 draw. The Junior Boys of Delhi Public School Bopal Ahmedabad win 5-4 on penalties to go through to the semi-finals. A.P.J. Abdul Kalam High School and Jusco School Kadma go in at break level at 1-1 in Jamshedpur’s Senior Boys semi-final fixture. In the quarterfinal clash between Delhi Public School, Bopal, Ahmedabad and Eklavya School, Maanrajsinh Solanki scored late in injury time to cancel out Aaadit Grover’s opener for the former. Good morning! Super Sunday at RFYS kicks off. First round of fixtures of the day will begin with Delhi Public School Bopal Ahmedabad taking on Eklavya School in the quarter final clash in Ahmedabad, followed by semi-finals in Jamshedpur. Make sure to check the highlights of yesterday’s play on, RFYS Day 60 report. Stay tuned for more updates throughout the day as we take you through a day filled with lots of action.